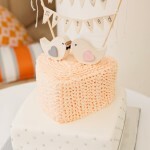 I adore seeing professional images of my cakes! 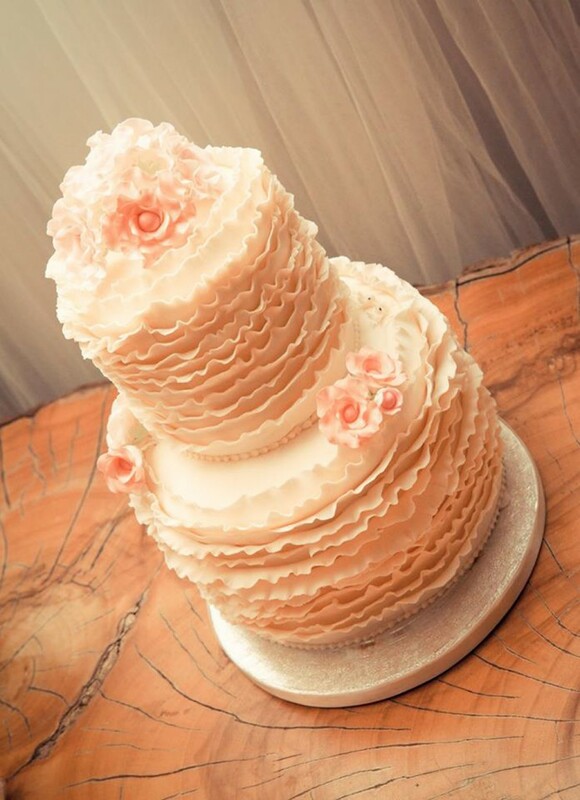 Thank you to Shai & Brock – the gorgeous bride and groom – and to Mitchell J Carlin Wedding Photographer extraordinaire for permission to share these beautiful photographs of one of my wedding cakes from earlier this year. This was a TALL cake. With both tiers made in a larger height than standard, I must admit that as a complete amateur, I found this cake very difficult to photograph myself. Thank goodness for professional photographers, like Mitch! 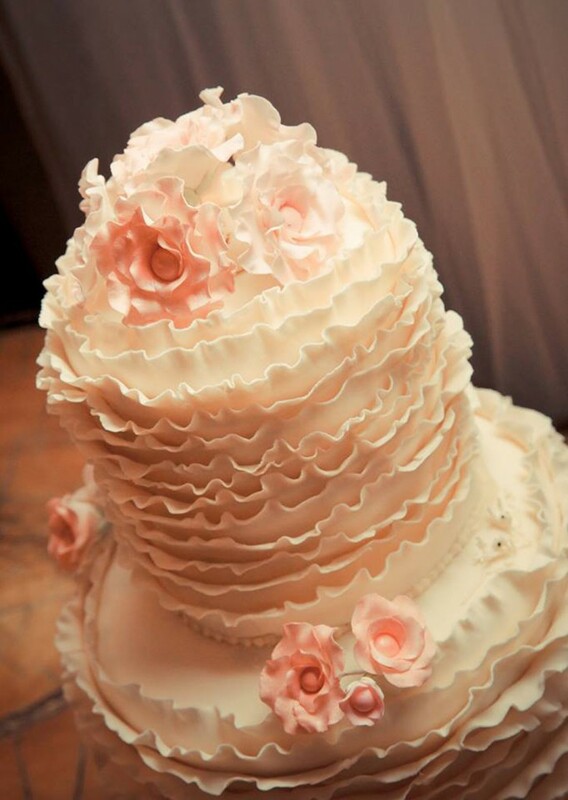 His two images below show off the height, ruffles, and icing flowers of this Gold Coast wedding cake perfectly, and I love how the angles and colouring create a soft and romantic mood. Perfect! 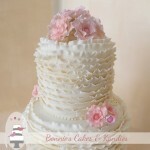 Extended height ruffle wedding cake by Bonnie’s Cakes & Kandies, beautifully and artistically photographed by Mitchell J Carlin Wedding Photographer. 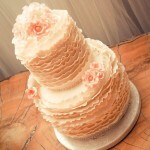 Lime & coconut, and carrot cake tiers, wrapped in individually applied edible ruffles for a romantic Gold Coast wedding. Photography: Mitchell J Carlin Wedding Photographer. 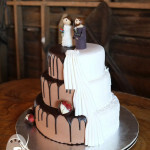 Thank you again to Shai & Brock, and to Mitchell J Carlin Wedding Photographer! I adored the sneak peek of this wedding that Mitch has posted on his website! Please do head over to both his website and facebook page to see much more of Mitch’s stunning work.